The self-assembly process, Levine explained, causes the dye molecules to stack in a particular way. 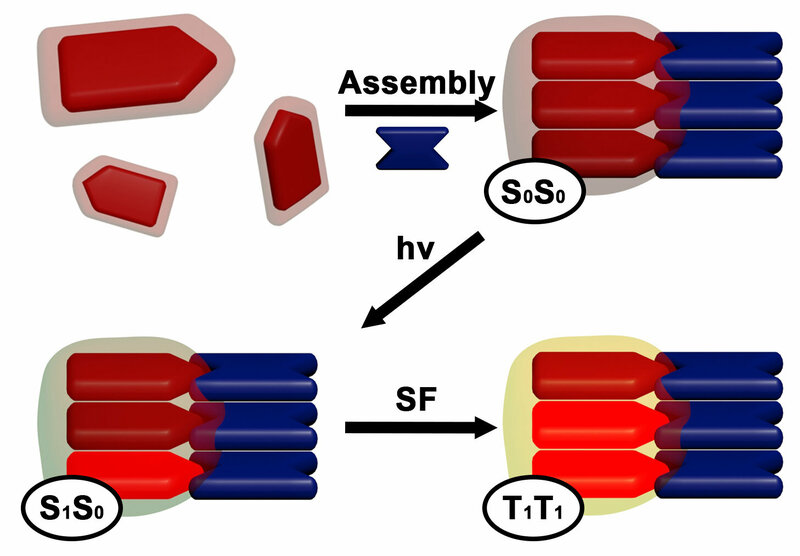 This stacking allows dyes that have absorbed solar photons to couple and share energy with —or "excite"—neighboring dyes. The electrons in these dyes then decouple so that they can be collected as harvestable solar energy.